We are an experienced and reliable guide and tour operator based in heart of Huaraz – Peru. We are working almost sixteen years in Peru and South America with high experience. We offers the best holiday and adventures travel trekking climbing mountaineering expeditions services available in the most beautiful areas of Peru as in the Cordillera Blanca Cordillera Huayhuash mountain range, Cordillera Raura Cuzco Machu Picchu Puno Arequipa extending Bolivia – Ecuador. We will be happy assist you with its unique expertise and guide you in trek, climb and in all your travel requirements during your trip to Peru. Was born and grew up in Huaraz in the foot of the Cordillera Blanca Rodolfo studied 3 years in C.E.A.M. 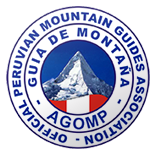 – at home guides ( Casa de Guias – Huaraz ) is an institution dedicated the formation for high Mountain Guide in Peru. 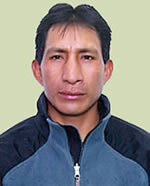 He has climbed many peaks in Peru Alpamayo 5,947m. Huascaran 6,768m. Chopicalqui 6,054m. Artesonraju 6,025m. Quitaraju 6,030m. Tocllaraju 6,030m. Pisco 5,752m. and others peaks, in Peru . Cotopaxi, Chimborazo in Ecuador, Pequeño Alpamayo, Huayna Potosi in Bolivia. He is organizing and guiding climbing trekking mountaineering groups on the summer in the Cordillera Blanca ,Cordillera Huayhuash , Cordillera Raura, Cuzco , Arequipa , Puno ,Nazca including Bolivia, Ecuador, Etc. Rodolfo Take yearly rescue course organized by Association Mountain Guides of Peru Rodolfo worked on the film “Touching The Void “as assistant of the climbers Joe Simpson and Simon Yates it was filmed in west face of Siula Grande Region Huayhuash – Peru. 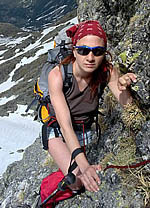 Petya is very communicative person, a mountaineering and alpinist of Bulgaria. She doesn’t like the usual routes. If you are looking for extreme experiences ... she is your choice. 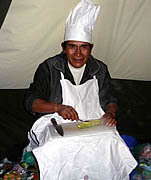 Esteban is truly a 5 star cook with more than 25 years working in the mountains. From a small corner in the cook tentwith only a 2 ring gas cooker he produces the most amazing meals & he is specialist in delicious vegetarian meals. He is also working for us. Esteban is also a very experienced climber and works with us as assistant guide.